Communications and Manuals of the GST Portal (www.gst.gov.in) is presented here. Click on the relevant link to view. Click to view / download Notification 30/2017. 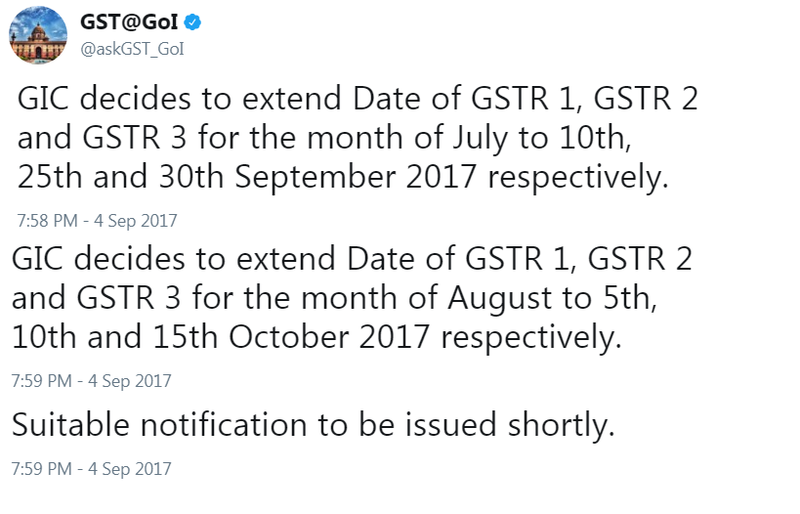 Here are the tweets on extension of due date for filing of return in For GSTR-1, 2 and 3 for July, 2017 and August, 2017. The Central Board of Excise & Customs has issued Circular No: 07 of 2017 dated 01/09/2017 detailing the process of System based reconciliation of information furnished in FORM GSTR-1 and FORM GSTR-2 with FORM GSTR-3B for the month of July, 2017. 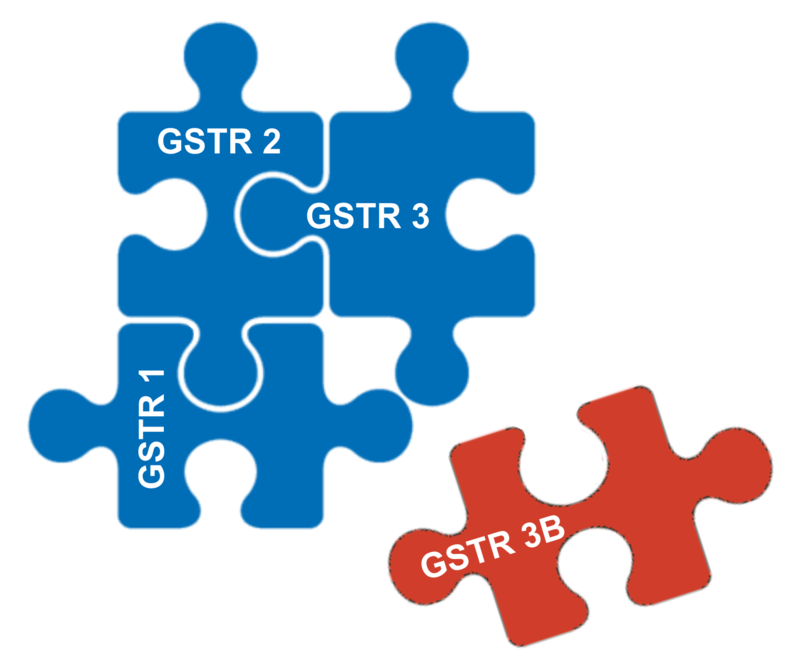 The circular explains in detail the process of Furnishing of information in FORM GSTR- 1, auto populating of details of inward supplies in Form GSTR-2A and adding information pertaining to details that are required to be furnished in GSTR-2 but are not part of FORM GSTR-2A like details of imports, details of supplies attracting reverse charge that have been received by registered person. Where GSTR -3B has been submitted without payment of tax the return shall still be subjected to the reconciliation process as detailed in the circular. Such registered person should furnish the details in FORM GSTR-1, FORM GSTR-2 and sign and submit the return in FORM GSTR-3 along with the payment of the due taxes together with applicable interest. No late fee, however, would be levied for late filing of return. (b)	If there is any excess payment if tax or short availment of input tax credit the same shall be carried over for utilisation in subsequent liability. (c)	The details furnished in Form GSTR 3 will be taken as the final figures. Click to view our Guidance Note on Filling in Form GSTR 3B.